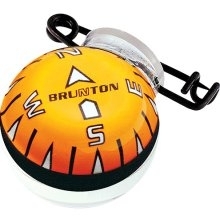 This unobtrusive little ball compass won't be noticed until you need it. 1" diameter ball features the cardinal points and pin attachment for hands-free use. Pins on for hands free use.